It is my pleasure to welcome you to the inaugural issue of the relaunch for US Cardiology Review. I am excited to take on the role of Editor in Chief and look forward to working with an outstanding editorial board (see page 1) and staff to meet our mandate of providing timely and informative reviews and expert perspectives on current topics within the broad field of cardiovascular medicine. Cardiology practice is challenged by rapid evolution based on accumulating evidence as well as a need for guidance in areas where evidence is incomplete. While there are a number of reliable formats for presenting new evidence, textbooks for review of historical data and basic mechanisms, and newer electronic formats for providing timely and efficient summaries, there is inadequate availability of reviews that are both detailed and timely. Within the topics selected, the semiannual publication hopes to offer advantages to both traditional textbooks, by providing the most contemporary presentations, as well as the various dynamic electronic formats, by providing more detail on the current evidence and historical perspective. It is our hope that the format of US Cardiology Review, directed to a target audience of general cardiologists, will be a valuable clinical tool for optimizing patient care and clinical practice. 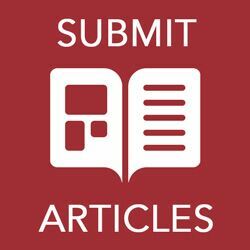 By way of brief description, all articles published have been commissioned from or submitted by experts within a topic of interest and reviewed by established peers with expertise in the specific area. Only original work that is produced entirely by listed authors who are fully accountable for all content is considered.